Another cold and flu season is among us, and if you looking to be proactive to fight the wave of sickness bound to hit your workplace, school or daycare, we applaud you. While there is no perfect solution for staying healthy during cold and flu season, there are certainly steps we can take to limit our exposure and even reduce down time from any sickness we do get. So, what can you do about staying healthy during cold and flu season? Here are some suggestions. Staying healthy during cold and flu season starts with vaccinations which prevent hundreds of thousands of cases of flu outbreaks annually. The Center for Disease Control encourages everyone over the age of 6 months to get the flu shot. 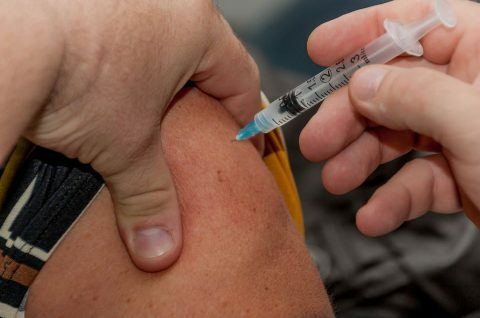 Many insurance plans cover flu shots at 100% and there are clinics set up for those who are at most risk to get their shot for no to low cost. In Colorado, click here; in New Mexico, use the Immunization Hotline at 1-800-232-4636; and in Arizona, click here to find a flu shot clinic near you. Maintaining your overall good health is important to keep your immune system strong. Aim for 7-9 hours of sleep, exercise, drink the recommended amount of water, manage your stress, eat healthy, and keep up with your oral care routine. If you or someone close to you is sick, it is recommended to follow the Three C’s: Cover, Contain and Clean. Follow these steps yourself, and teach them to your children as a strategy for staying healthy during cold and flu season. Cover: Cover your cough and sneezes. Use a tissue, discard and wash your hands, or use your inside of your elbow to cover quickly if a tissue isn’t in reach. Contain: Keep your distance from others who may be sick, and keep your hands off your eyes, nose and mouth – the most common areas where germs enter the body. If you are sick, or your child is sick, stay home rather than going to work, school, stores or other public places where germs are easily spread. 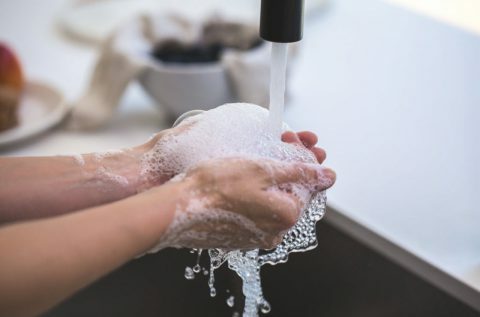 Clean: Wash your hands frequently through out the day, especially before and after eating, using a tissue, using the restroom, or touching high traffic items such as counters and door knobs. Wipe surface areas with a disinfectant, especially if you believe they may be contaminated, including toys, keyboards, and phones. And don’t forget to replace your toothbrush. As a part of your health care team, we hope these tips for staying healthy during cold and flu season will keep you and your family happy and healthy over the upcoming months.